The monkeys are climbing! Each of them wants to pick the largest fruits. But Banana Matcho, the head monkey, calls all of them back – using the loudest squeaky banana in the jungle! You can get to the sweet fruits sooner if you take many risks – often you get lucrative dice combinations only when the third Matcho head is getting close. 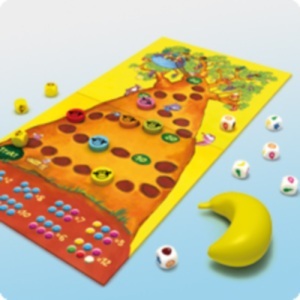 Banana Matcho is a lively, squeaky game where the dice are cast faster than the hands can roll them. 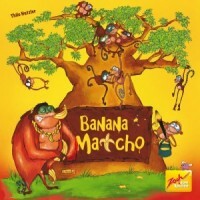 Add a Review for "Banana Matcho"